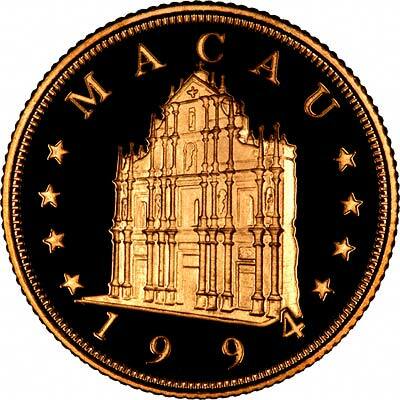 The earliest coin issues of Macau for which we can find any reference were in 1952 under the Portuguese. The unit of currency is the Pataca (MOP), and the first gold coins were issued in 1982. 100 avos = 1 pataca. Although an administrative district of China since 1999, there has been no change to its coinage. 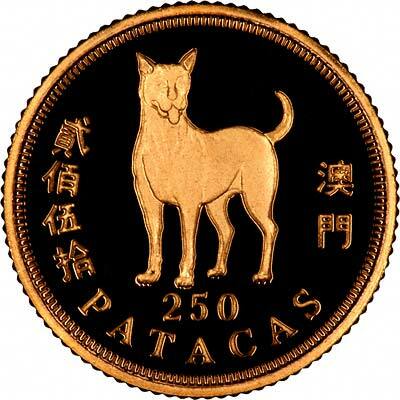 The 2003 1,000 Patacas shown is one of the first gold coins issued under the Chinese regime, and was produced by the British Royal Mint. Macau is the Portuguese name for the country, but we have also seen it spelt Macao, The Chinese version of tis name is Aomen. Please telephone for current prices and availability. The prices quoted in the US $ column may be out of date due to currency fluctuations.